Located next to the beautiful village of Aberfoyle in Puslinch Township, Mini Lakes is only 5 minutes from from the 401 exit at HWY 6 between Kitchener and Milton, and only 5 minutes south of Guelph – where you can enjoy plenty of options for shopping and entertainment. Mini Lakes is a community where neighbours care for neighbours and is ideal for those looking to scale back and maybe slow down a little (or a lot). Perfect for Snowbirds and year round living if you please. With a number of spring fed lakes, fishing, canals, a heated pool, recreation centre, bocce courts, library, trails, gardens, exercise classes, cards and darts, and more… you can’t go wrong here. Who Owns And Operates Mini Lakes? Mini Lakes Residents Association (MLRA) is a non share corporation that was incorporated in 1990. 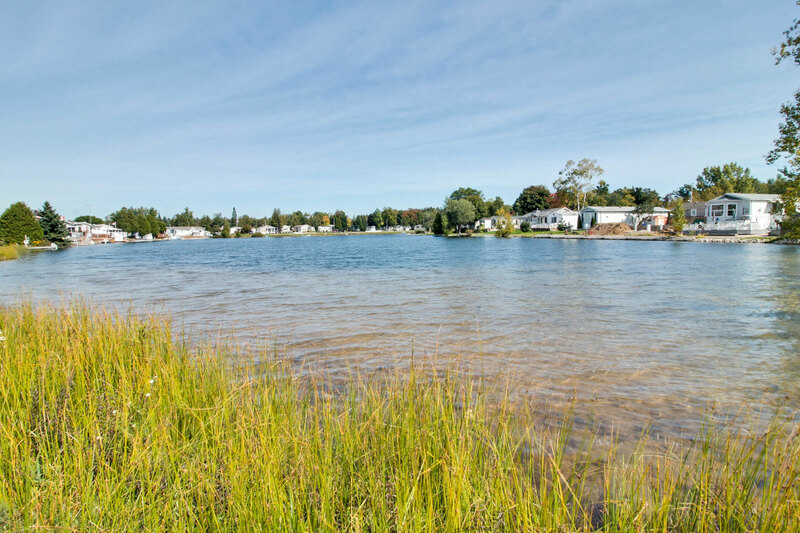 The MLRA was the original owner of all 95 acres including all of the lots and the common facilities, roads, ponds and sewage treatment, and communal water systems that make up the Mini Lakes community. Thanks to the persistence, patience and extraordinary efforts of the members and it`s directors, in 2015 a Plan of Subdivision and a Common Elements Condominium Plan were registered, thus creating Wellington Common Elements Condominium Corporation No. 214 (CECC #214). The CECC assumed ownership and management of the common facilities including the lakes, roads, buildings, and sewage collection and water systems. Currently very few of the lots in the Mini Lakes subdivision are owned by the MLRA and leased to tenants. The majority of residents have acquired title to their lots. Each tenant or owner of a lot in the Mini Lakes subdivision is considered a Member of Mini Lakes Residents Association. The donation of volunteer time and expertise by the many talented members of the park for things such as lawn maintenance common areas, coordinating sports and social activities, helps to keep costs to a minimum. Other professionals are contracted as required for legal, audit, engineering purposes. For more information on homes for sale, visit our page of Mini Lakes listings. If you have any questions about the community in general, please feel free to contact us directly, or ask your question in the comment section below.